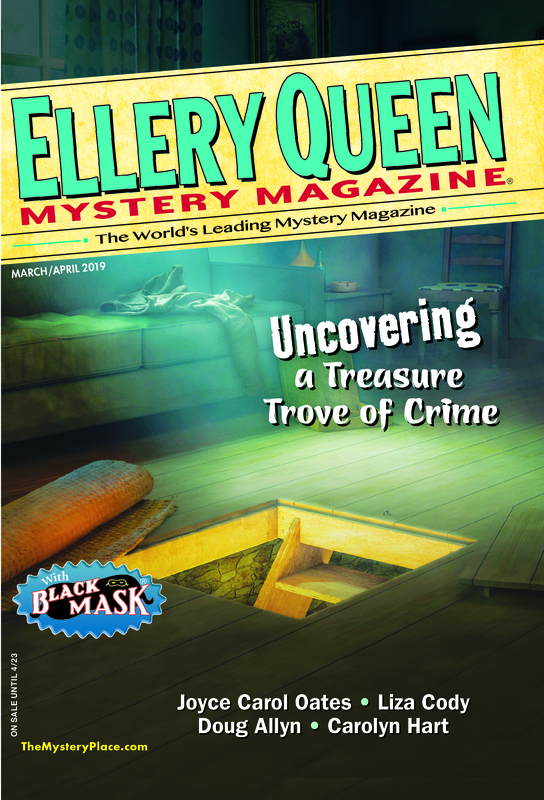 My wife and I have recently been working our way through the bulk of Stanley Ellin’s contributions to Ellery Queen’s Mystery Magazine, courtesy of The Specialty of the House & Other Stories: The Complete Mystery Tales 1948-78. I read the stories aloud, giving us the chance to savor the sound of Ellin’s style, but as much as we admire that finely honed prose, what has given Ellin such lasting renown in the pantheon of short story writers is surely the precision of his plotting: the clockwork accuracy by which each element of a given tale contributes subtly, effortlessly, inexorably toward some crushing plot turn or crisp final image. Reflecting in the collection’s introduction on the short story writers who influenced him, Ellin himself praised how De Maupassant “reduced stories to their absolute essence” and how his endings, “however unpredictable,” ultimately seemed “as inevitable as doom”—qualities which Ellin emulated and perfected in his own work. For many reasons, Ellin’s short fiction also calls to mind John Updike’s often-quoted criteria for judging a short story’s success: “I want stories to startle and engage me within the first few sentences,” Updike said, “and in their middle to widen or deepen or sharpen my knowledge of human activity, and to end by giving me a sensation of completed statement.” Ellin’s finest stories seem to succeed on these terms as well: drawing readers in quickly, turning a clear eye on some aspect of human nature (often the darker recesses of it, admittedly), and regularly bringing a perfect sense of closure to his tales—often with cruel little twists, as in “The Orderly World of Mr. Appleby,” “The Best of Everything,” or “The Betrayers,” for example. I look at the empty chairs and think back to summer. I look at the empty chairs and wait for the phone to ring. Finishing the story ourselves—that’s basically how these open endings work. These and other writers don’t just tell us what happened but instead force us to become an active part of the storytelling, at the very least puzzling out the “Why?” and “What if?” and “But suppose…” possibilities, or trying to tie up the loose ends left purposefully dangling, or supplying the emotional responses underplayed by the author, or at the further extreme, having some hefty moral quandaries laid at our doorsteps, as Ellin’s “The Moment of Decision” so expertly does. Art Taylor’s short stories have appeared frequently in Ellery Queen’s Mystery Magazine, and two of his EQMM stories have won Derringer Awards: “Rearview Mirror” in 2011 and “A Drowning at Snow’s Cut” in 2012. In addition to his short fiction, he is a professor of English at George Mason University, a frequent reviewer of mysteries and thrillers for the Washington Post, and a regular contributor to Mystery Scene. For more information, visit www.arttaylorwriter.com. This entry was posted in Guest and tagged arttaylor, ellery queen, eqmm, johnupdike, magazines, MWA, mystery, noir, publishing, short stories, stanleyellin, suspense, writers. Bookmark the permalink. Thanks for the note, Robert! I haven’t read “The Payoff” yet, but will skip ahead in the collection and check it out! In the Gorman story, it’s not certain, is it, that this terrible thing anticipated is actually going to happen? That sets it apart from two of the other stories you mentioned, “The Moment of Decision,” in which the clock is ticking down and even inaction will bring about a result, and “Ibrahim’s Eyes,” in which the reader is certain of what comes next, and it’s going to happen in the next instant. I’d never thought about noir fiction in quite this way before, but I think I agree with what you seem to be suggesting, that to sustain the brooding mood of a noir piece to the end, there may need to be less resolution than you’d find in other stories. An interesting thought, anyway. . . . Thanks for the comments here — and yes, it’s the lingering nature of that uncertainty in the Gorman story that haunts a little, to my mind, while in Ellin’s “Moment of Decision,” what persists is (perhaps) a debate about what the protagonist should do in those next anxious moments — a decision we could debate quite a bit, I think, guessing at what’s going on, second-guessing, etc. Looking back over my post, I realize (now!) that it could certainly be organized a little more cleanly. I treated the topic in a little bit of a free-form way, but these various endings could be grouped in several ways: endings where the next step is certain (which work on an emotional level, perhaps); endings where something immediate will happen but we don’t know what; and the most open-ended stories where the plot could continue into an indefinite future…. And that’s also just a quick assessment; perhaps many other ways to characterize/organize as well: how different subgenres might treat such an ending; moral versus emotional elements; levels of uncertainty, etc. Thinking about it, I’ve actually been considering the idea of fleshing out a more formal essay for someplace…. We’ll see!